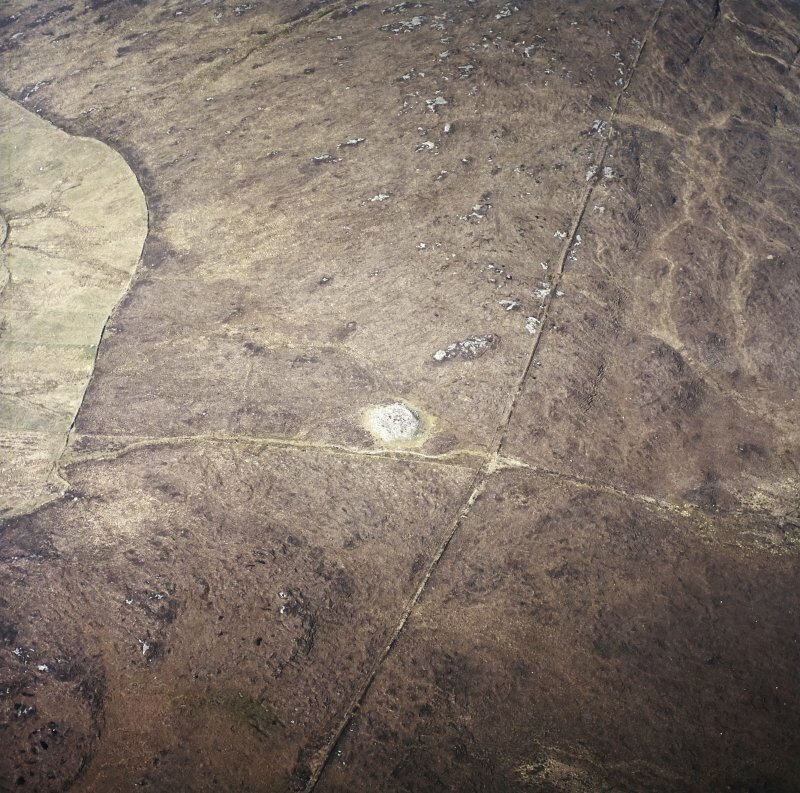 Oblique aerial view centred on the remains of the chambered cairn, taken from the NNW. 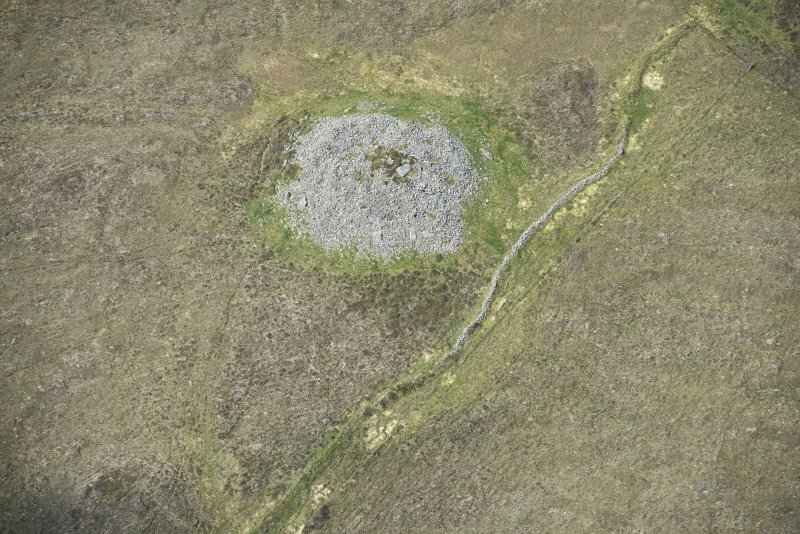 Oblique aerial view centred on the remains of the chambered cairn, taken from the NE. 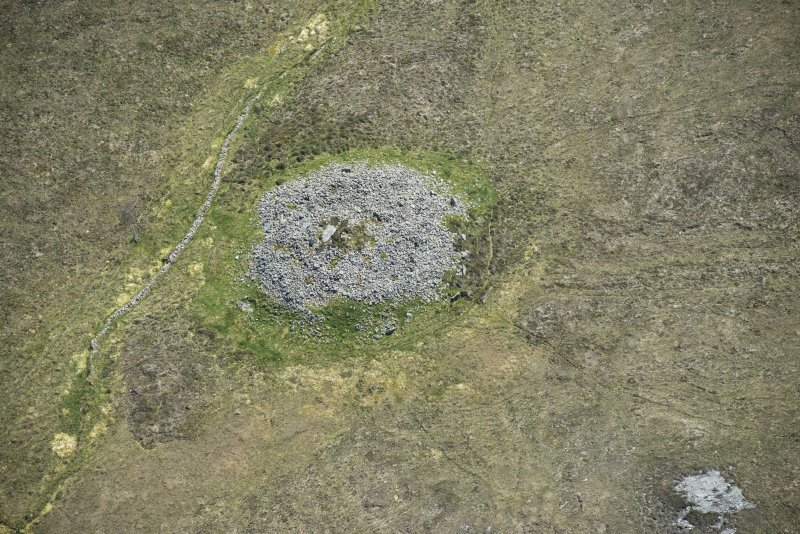 Oblique aerial view centred on the remains of the chambered cairn, taken from the E.
Chambered cairn, Dun Bharpa, ENE of Borve. 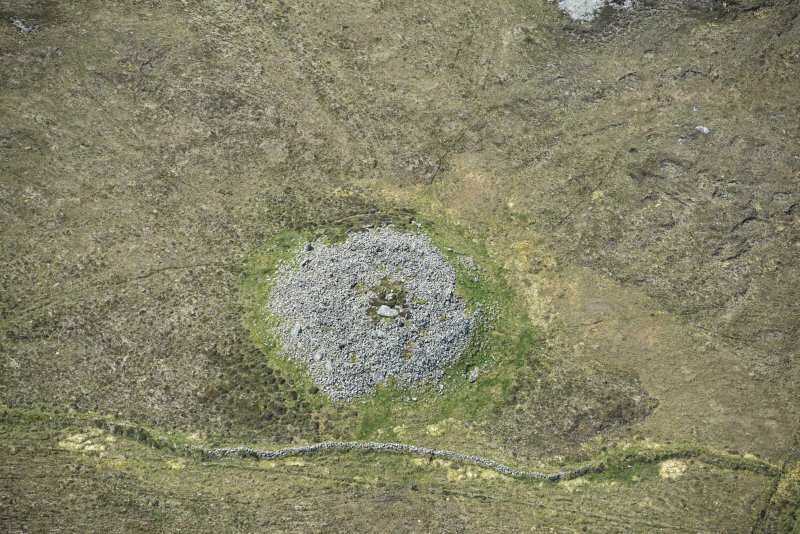 Dun Bharpa is a relatively little disturbed chambered cairn about 17ft high and 110ft in diameter. 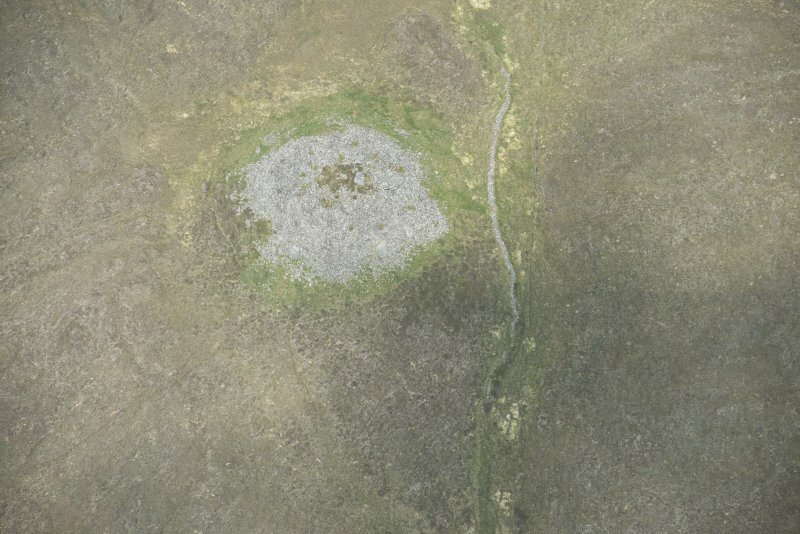 There is a peristalith of unevenly spaced, large, split stones of 80 to 85ft in diameter. 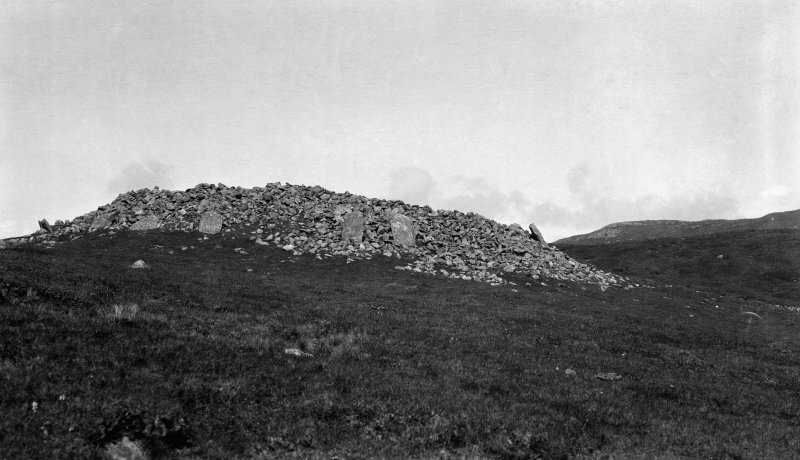 The chamber lies to the east of the centre of the cairn with the entrance on the east side. A smaller cairn, a little to the south-east, is noted by MacRitchie (? NF60SE 12). 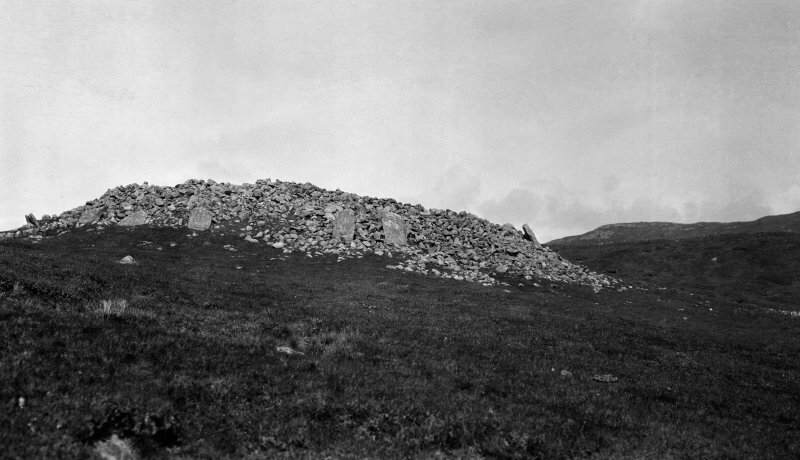 A S Henshall 1963, visited 17 April 1962; RCAHMS 1928, visited 5 June 1915; D MacRitchie 1895. As described above. 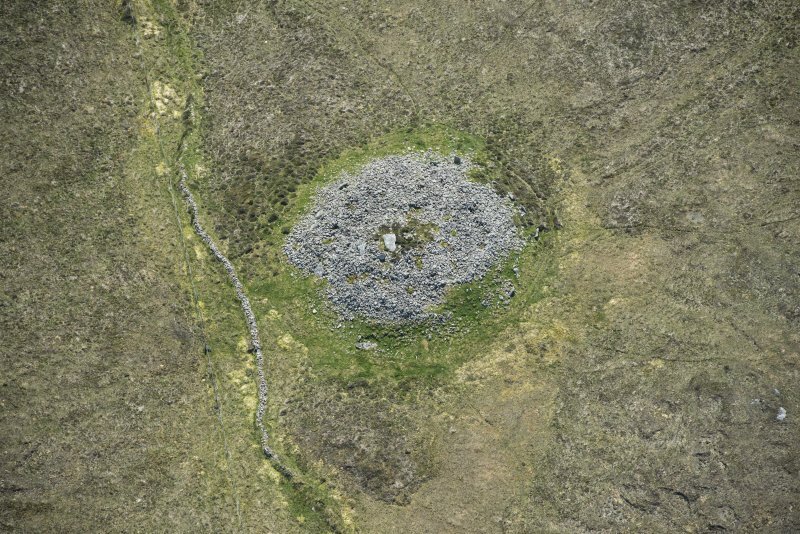 The large relatively flat top of the cairn is honeycombed with at least sixteen circular and four oval and rectangular hollows varying in size from 1.5m in diameter to 3.6m by 1.5m, probably shielings. Visited by OS (W D J) 26 May 1965. 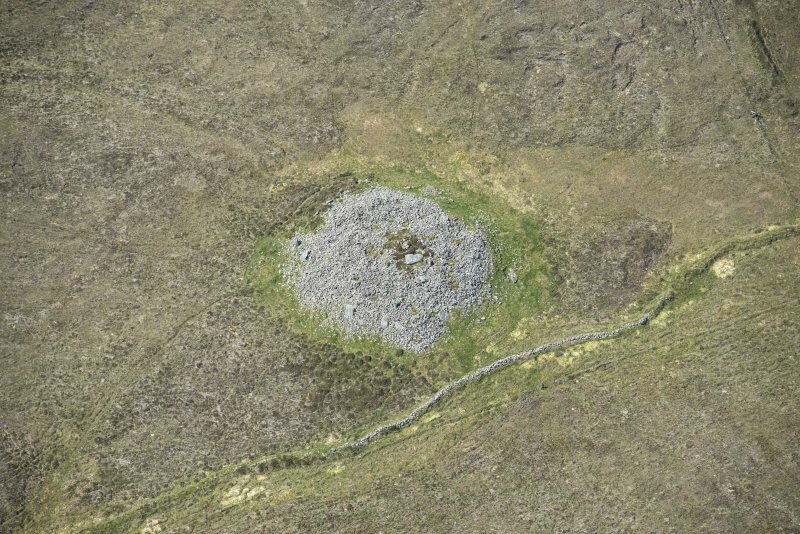 Little stone has been removed from the cairn, although the chamber has probably been entered in recent times from the top. 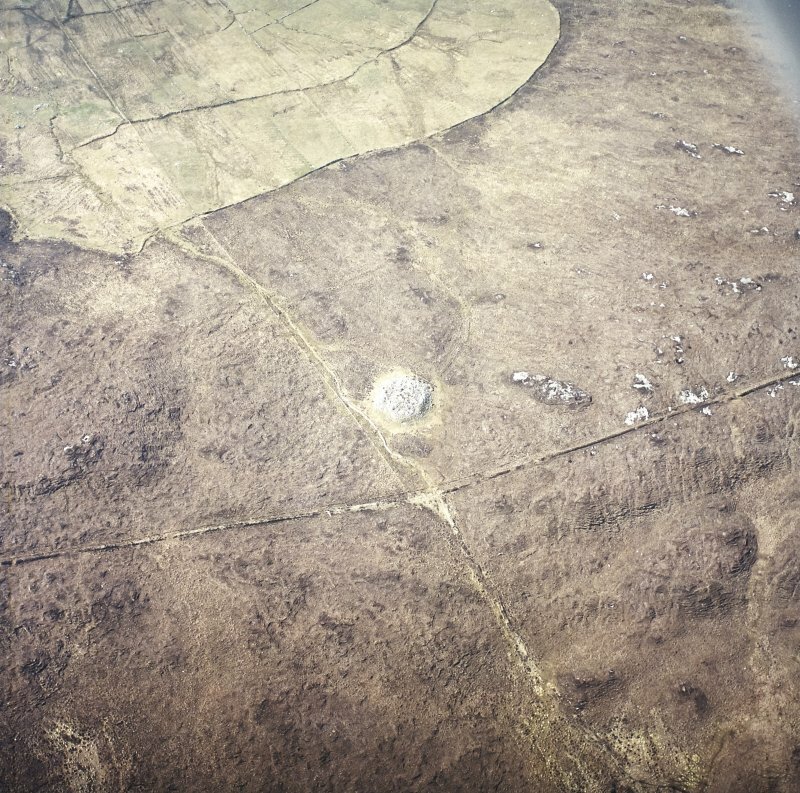 A number of large slabs are set near the edge of the cairn, and other slabs on the eastern side show where the passage runs and probably the position of the chamber; a very large slab lying flat on the top of the cairn may well be a capstone of the chamber. 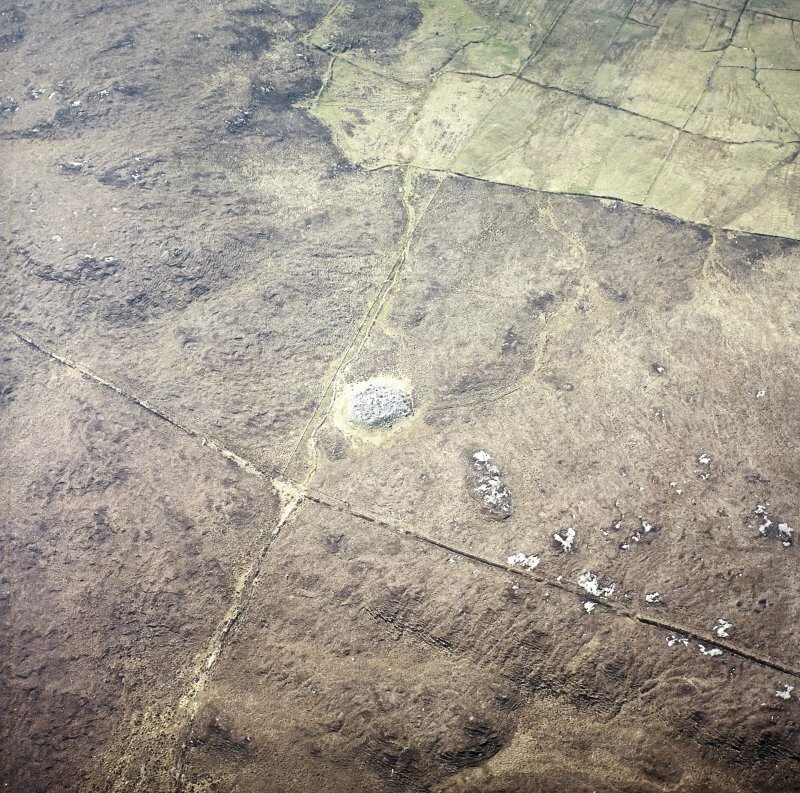 The commanding position is probably responsible for the name 'Dun', although the early identification of the site as a burial cairn is recognised in the second element of the name.